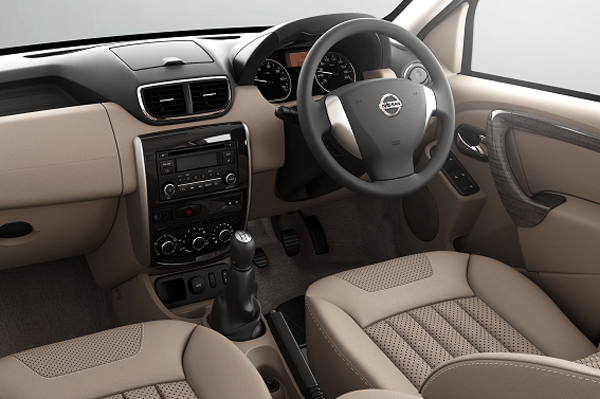 Nissan Terrano was first unveiled live in Indian market on 20th August 2013. 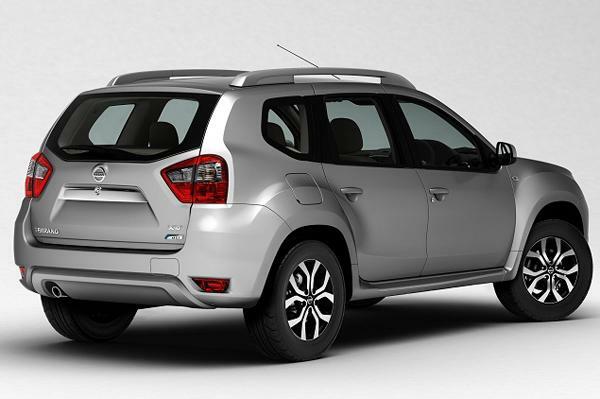 The bookings of the SUV have already begun at dealer end however the official pricing would be announced on 9th October 2013. Similar to the launch of Renault Duster and Ford EcoSport, the Nissan Terrano is also highly anticipated car of the year and is expected to add good amount of volumes to the industry. Here are detailed Images of the car from the official unveiling event from Nissan India. Earlier we had seen the sketches of the Nissan Terrano, however today is the first time when we got the opportunity to see the car in flesh. 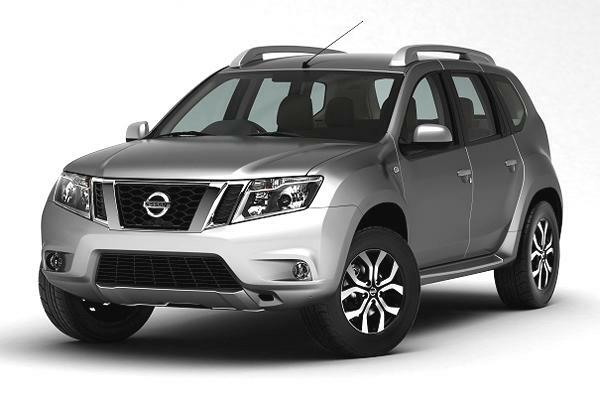 The front fascia resembles the other Nissan SUV's like Pathfinder and X-Trail whereas there are significant changes on the body like sheet metal changes, headlamps, tail lamps etc. Duster’s U-Shaped crease line has given way for an almost straight crease extending through the lower half of the car and then you would immediately notice the nice sporty alloy wheels. The Terrano will be available in Fire Red, Sterling Grey, Blade Silver, Sapphire Black, Pearl White and Bronze Grey colors. Pre-sales bookings will start from September 1, 2013, while the car will go on sale across India in October. 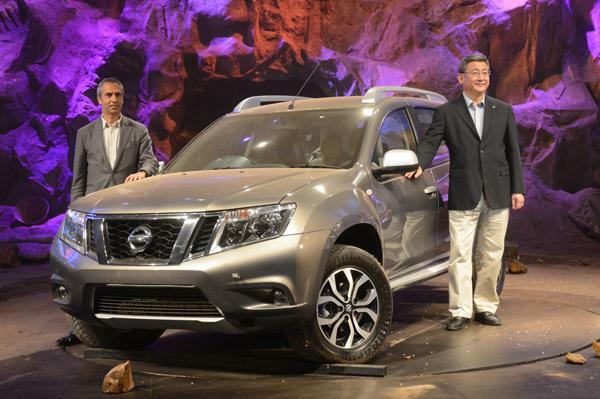 The new Nissan Terrano SUV will come with a sub-Rs 10 lakh price tag. For those who missed out the Live preview can view it here again !